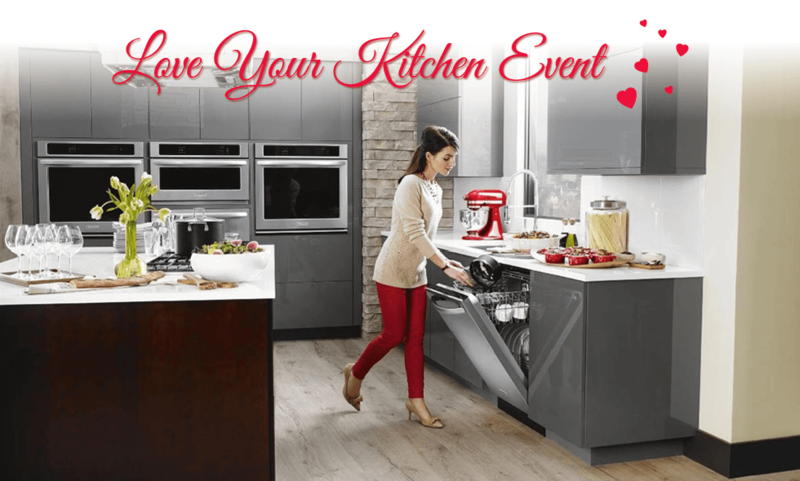 KabCo Kitchens would like to invite you to our Love Your Kitchen event going on now! Enjoy up to 30% OFF Homecrest Cabinetry orders on new kitchen remodel projects scheduled for design appointments through Valentine’s Day February 14, 2018. Please fill out the form below to have one of our expert kitchen designers contact you and schedule your appointment or call us directly to schedule your appointment. You must mention this ad “Love Your Kitchen Event” in order to take advantage of 30% OFF (844)-695-2226. *Discount is not available on previous purchases/estimates. Cannot be combined with any other offer. No Cash Back Value. Minimum Purchase Required.